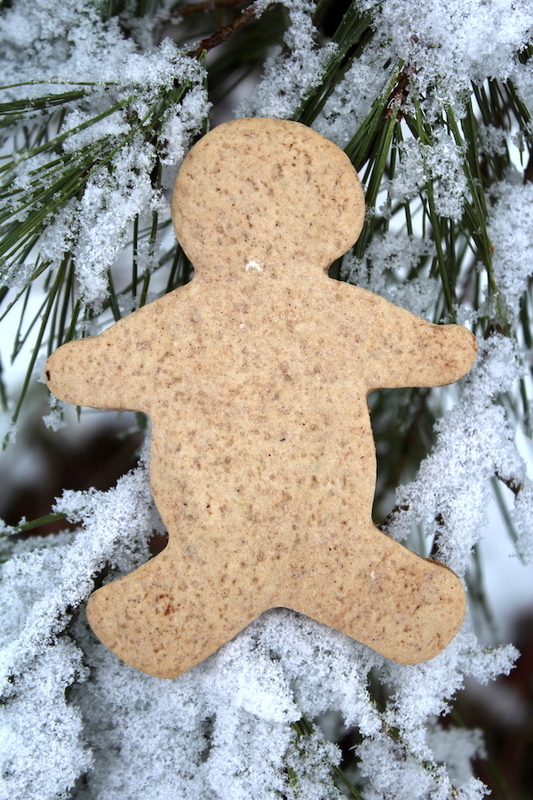 Pepperkakker differes a bit from the gingerbread made in the US, which is strongly flavored with molassas. A sweetener called golden syrup is used instead, which has a much lighter color and subtler flavor. Golden syrup is made from sugar cane or beet sugar, and it’s boiled into a thick syrup that looks a bit like honey. Since golden syrup can be a bit difficult to find outside of europe, try substituting honey or maple syrup. 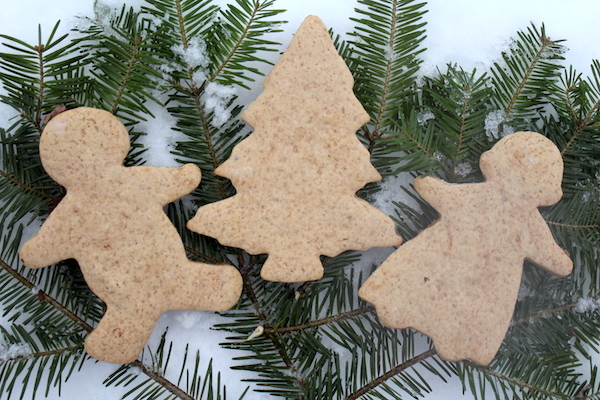 Or, if you want to really go amp up the nordic flavor in these cookies try birch syrup. Birch syrup is a traditional nordic sweetener that’s been made for millenia, just the same way maple syrup is made. We make homemade birch syrup trees on our land, and though it’s labor intensive, I just love the way it tastes. Unlike maple syrup which is delicately sweet, birch syrup has a warm spicy flavor and dark color. It almost tastes like it has a bit of molassas and pepper right in the syrup. Though birch syrup is a nordic ingredient, it’s not actually traditional in these cookies. Choose the syrup that suits you best, be it maple, honey, birch or the strictly traditional golden syrup. All of those add a slight bit of acidity to the dough, which helps to activate the baking soda. If you don’t have syrup of any kind handy, boil a bit of sugar in water until it thickens like honey and add a splash of lemon juice for acidity. Without the strong molassas flavor dominating the cookie, the other spices play a more important role. The name Pepperkakker comes from the black pepper used to spice the norwegian gingerbread, believe it or not many recipes skip the pepper alltogether. Cinnamon, ginger, cardamom and cloves are generously added to the dough which adds warmth and color, giving the cookies a spicier flavor than molassas based gingerbreads. Sometimes whole spices are very coarsely ground, giving the cookies a more rustic look. Tiny pieces of pepper and cloves hit your taste buds all at once, like the big crystals of salt on a pretzel. Feel free to adjust the seasonings up or down to add more intensity to your own version of Pepperkakker. When making pepperkakker, it’s best to plan a day ahead. To start, the butter, sugar and golden syrup are melted in a pan, and then the cream and spices are added. Since the butter is warm, it helps to extract a bit of flavor from the spices, but that also means that the dough needs to be refrigerated before it can be rolled and baked. That’s actually a good thing because it allows the spices more time to infuse into the pepperkakker dough. After adding the flour, salt and baking soda into the butter/sugar mixture, form the dough into two disks and refrigerate overnight. Bring the dough out onto the counter about half an hour before you intend to roll it out to allow it to warm slightly. This makes it a bit more workable. Dust flour on a work surface, roll the dough and choose your favorite shapes. I have a gingerbread man and madam, and a matching christmas tree that I’m fond of for gingerbread, but there are a lot of holiday cookie cutter options that would work just as well. Be sure to roll the gingerbread a bit thicker if you’re making walls for a gingerbread house, so that they have enough substance to hold together. 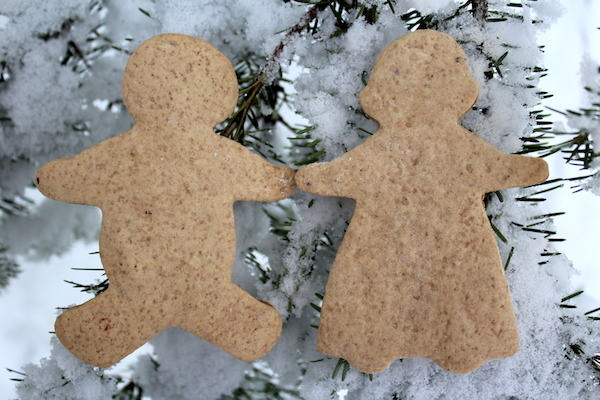 Warmly spiced norwegian gingerbread (pepperkakker) is a scandinavian holiday tradition. Mix butter, sugar and syrup in a saucepan heat over medium heat. Once the butter has melted and the sugar dissolved, remove from heat. Cool slightly, and then add the cream and spices. Mix the flour, salt and baking soda in a large mixing bowl. Add the melted butter mixture and stir until just combined. 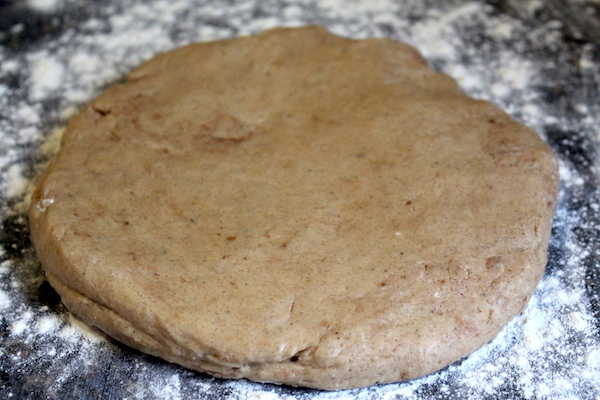 Form the pepperkakker dough into two disks, wrap and refrigerate overnight. Remove from the refrigerator about 30 minutes before attempting to roll the dough. 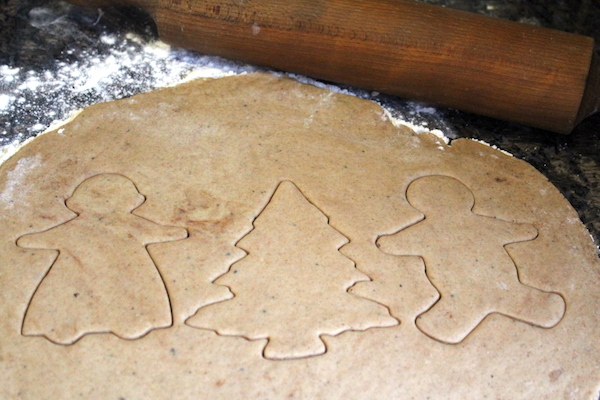 Roll the dough thin (1/8 inch) and cut with festive cookie cutters. Bake time varies based on the size and thickness of the cookies. My 6 inch gingerbread family, took about 12 minutes to bake but smaller cookies may be done in 5-7 minutes. Cookies are done when they're solid in the center and the edges begin to brown. Remove from the oven and cool on a rack before storing cooled cookies in an airtight container.